What’s this? 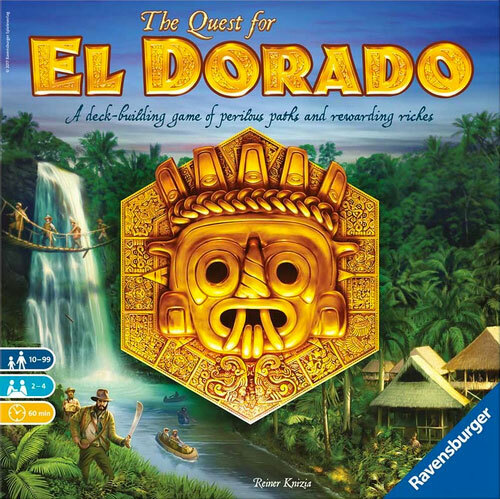 Another game about finding the lost city of El Dorado? 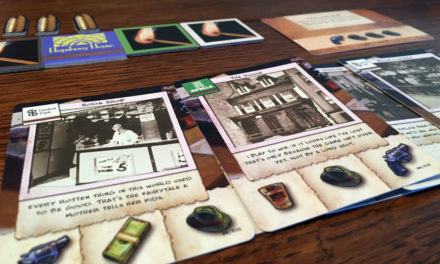 If you will recall, last week we featured The Lost Expedition, a cooperative game about finding this mysterious city. However this week, we’ve flipped the table (so to speak) and you are not working with your fellow players, you are racing against them. 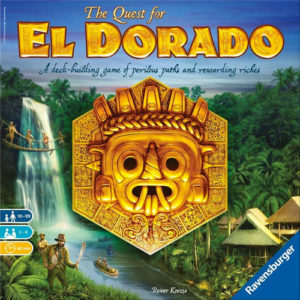 In The Quest for El Dorado, a 2017 Spiel des Jahres nominee, has players racing over a variety of terrain types to be the first to reach the fabled city of El Dorado. 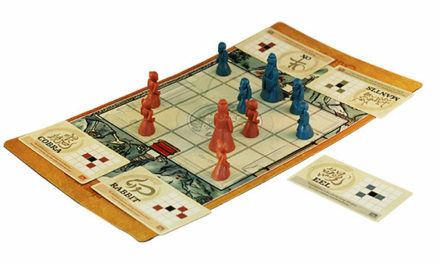 The game uses some minor deck building to drive the racing mechanic, as each player starts with a unique deck of 10 cards and customizes it as the game progresses. 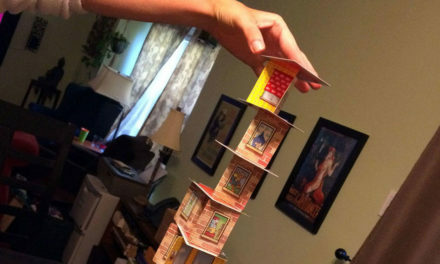 One of the nice things about The Quest for El Dorado is how modular the game is. The path to the city won’t be the same each time you play, as it’s made up of a random (or pre-chosen) sets of double sided tiles. This means that you can customize the game to be as hard or as easy as your group likes. The manual does include some suggested layouts, but you can also just go hog wild and throw down any tiles you like. The game play itself is very easy to learn and plays smoothly. Play cards on your turn to either move your explorer along the path, or use your cards to buy better cards for your deck. 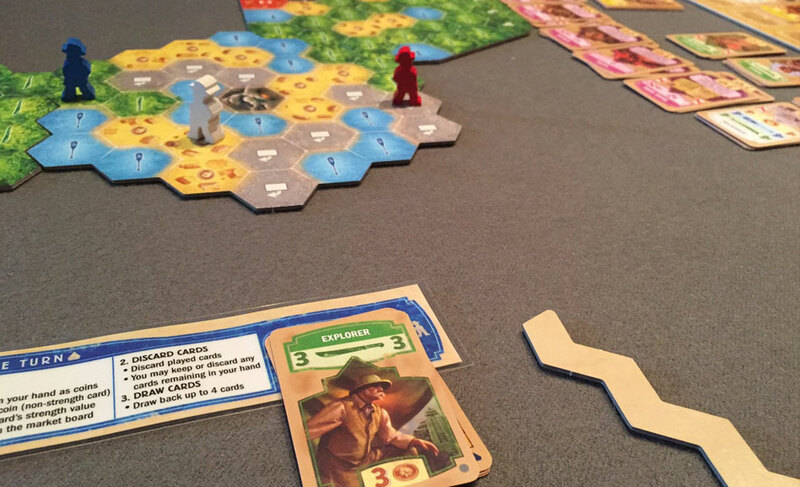 Figuring out the right time to move vs buying is one of the things that makes The Quest for El Dorado so engaging. 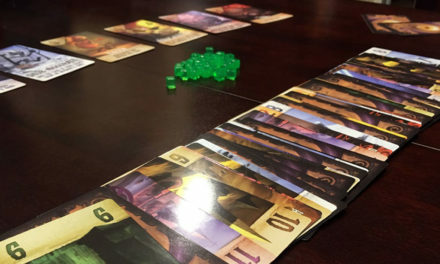 This is a game that’s light enough to be played with your non-gamer friends, yet still has enough meat to keep your gaming group entertained. And that’s why it’s our newest Game of the Week!